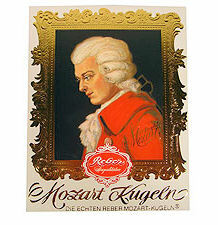 Reber Mozart Chocolates are very popular here at The Cheese and Wine Shop. 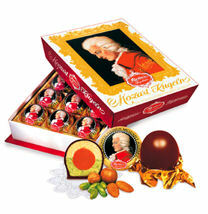 We have a great selection; from the famous Kuglin, though to the chocolate bars and gift boxes. Click here to view our selection. Brief history of Reber Chocolates; Paul Reber GmbH & Co. KG have been family owned for more than 140 years. Famous the world over for manufacturing high quality sweet treats, using exceptional Marzipan. The ever popular Mozart Kuglen!